Mindset is everything. Whether you want to be an athlete, a successful entrepreneur or just want to wake up a bit earlier every day, it’s all about your mindset. Some people think you either have a strong mindset or you don’t. This is called the fixed mindset. Some other people, like me, think mindset is something you train, you grow, like a muscle. This is called the growth mindset. If you follow my posts, chances are you’re already familiar with this concept. If not, check this video. If you want a strong mindset, you have to cultivate it. By taking little actions every single day. For me, it means waking up early, not snoozing and doing my morning routine, including a cold shower. I strengthen my mindset first thing in the morning, every day. If I want to push it, I’ll even try and break my records of breath holding or planking. These are very uncomfortable exercises, but they mainly rely on mindset. I’m currently working on a “warrior’s mindset” program that incorporates these activities. It won’t be for everyone, but it will definitely strengthen your mindset and allow you to achieve things you didn’t think you were capable of. Talking about a strong mindset… This week’s content is Arnold Schwarzenegger. His mindset allowed him to become a bodybuilder, then a famous actor and then the Governor of California. It looks like whatever he chooses to do, he becomes amazing at it. Why? Because he has the mindset. A few weeks ago, he did an amazing speech. Here is an edited version. Enjoy! For example, Jeff Bezos, founder of Amazon and richest man in the world, sleeps 8 hours because clarity of mind is more important for his job than an extra 2 hours in the day, and I tend to prefer this approach. This week, I’ve organised a “motivation week” in Bondi Beach. Completely new concept… There would have been 100 reasons not to organise this. I’m not a personal trainer, yoga teacher o Wim Hof breathing instructor. Still I went ahead and the result was an amazing week with like-minded people. And… this week I interviewed Ben Abstacker. He built super strong systems in place to strengthen his mindset and become a beast! He gives very practical tips on how you can build a strong mindset, starting Today. I loved this chat! You see, when I left France for Australia, I was eating junk food, barely reading any books, drinking a lot and didn’t even know what meditation was. Had I stayed in France, I would never have become what I have become. I would probably have a normal job, go to the same parties I used to, have the same cigarette and the same Big Mac at the end of the party. Here, I met nutritionists that taught me to eat well, motivated people I could go to the gym with and inspiring meditation teachers. I am surrounded with loving people who wake up early, get active, are super healthy and who consume more books and podcasts than Netflix series. By no means am I saying that this way of living is superior. I deeply respect any way people want to live their life. This is just my preferred way. I’m not trying to convince you that it should be yours. All I’m saying is that if you think it should be yours, then take action and make it happen. My point is that your environment is so important. If you’re trying to meditate, to be healthy, to start your business, surround yourself with people with the same mindset. Otherwise it’ll be nearly impossible. I find it a bit sad when I hear so many of my friends in Paris who have been telling me for more than a year that they want to start meditation and they still can’t put aside 10 or 20 min a day for it. But it’s normal, they can’t stay motivated because they don’t have the right environment. You want to be part of tribes that inspire you and keep you accountable. You need to brainwash yourself with inspirational content and routines, with people who push you to thrive. UNLOCKT is one of them and I hope you join us. This is the last newsletter I’ll write to the ones who are not members of UNLOCKT. I’ll definitely keep posting on social media though and I have my podcast so if you want to keep following while staying in your comfort zone, all good. 😉 Just make sure you don’t end up with regrets. We have one life! Jay Shetty is a very wise man and he talks very well about the importance of your environment. They’ll find it super insightful. Be pumped for a few minutes. And then they won’t change anything to their habits. You have the opportunity right now to join a group of people that will support you to build your beautiful life, whatever that means to you. Some people here in Bondi are having truly transformational weeks. I keep organising “Motivation Weeks” and the people who attend are more than rewarded for this step out of their comfort zone. As mentioned by one of them, “I have never felt that alive”. Pretty good… For me it’s amazing to wake up every morning to such great vibes. Also sharing the latest podcast with plant-based nutritionist Kate Levins. Lots of great tips. I owe her a lot because she got me interested in nutrition when we worked together. Had I not met her, I’d probably be eating unhealthy food. And there is no way I would have the levels of energy & happiness and the clarity of mind I have Today if I wan’t eating healthy. Check it out on iTunes. And this Friday I’ll have one about Tantra & conscious sexuality 😱 The members can ask their questions in advance on the Slack channel. A few weeks ago, I asked the Facebook group: “What does happiness mean to you?” and the answer that came back a lot was “Freedom”. You know me, I’m all about freedom. But there are 2 layers of freedom. There is the most obvious one. The one that comes from your life situation. If you can travel, do the experiences you want, buy the things you desire, etc… Doing what you want to do. Now the second layer of freedom would be: how do you choose what you want? If you want this luxurious car and you get it , is it freedom? Why did you want this luxurious car in the first place? Are you sure it’s not some social conditioning? Whatever your life conditions are, real freedom comes from knowing yourself in the first place. From self-awareness. There cannot be any freedom otherwise. You may be super rich, have the most extraordinary experiences, build successful businesses, if this comes compulsively as a reaction to a conditioning you’re not even aware of it, you are not truly free. If I have the awareness of where my desires come from, I can judge better which ones are truly coming from me and which ones are a social conditioning. I have that awareness, but it still doesn’t mean I chose these desires in the first place. This second layer of freedom is self-awareness. But knowing if we really choose our desires is a different question, which is the one of free will. We’re throwing some pretty big events in Bondi Beach at the moment. Amazing how good the vibe is! Last week, I also revamped the morning routine challenge. It’s just 3 days and 100% free, give it a go! Among the people that inspire me most, Steve Jobs definitely has an important place. A bit more than a year ago, when I quit my job, I wasn’t sure what to do. I had quite a bit of experience in the foodtech industry but couldn’t feel the passion. I had had a few side businesses but they never took off. So I started to listen to some of the most insightful entrepreneurs, like Peter Thiel, Elon Musk & of course Steve Jobs. It then became very clear to me that I needed to do something I was truly passionate about. And I was truly passionate about personal growth. About challenging myself and keeping learning. Following your passion can be scary. You jump into the unknown. But I don’t know many people who have looked back. And we are at a time in history when you can live from your passion, whatever it is. It’s not that simple to find what you’re passionate about. It takes a lot of trial and error, of getting outside your comfort zone. But whatever you think it is, take Steve Jobs’ advice. Don’t settle and follow your heart. As it’s been close to a year now that I’ve launched my podcast, I wanted to share with you the first episode I did with my friend Hadelin de Ponteves, one of the leading experts in AI in the world, and one of the most intuitive persons I know. He is a huge inspiration for me. And if you haven’t already, make sure you subscribe to the iTunes podcast, I’ll have really cool guests in February. And if you want to help, leave a review on the iTunes store. Regarding the programs, we have 5 programs ready. You can check them out here. I’m also going to revamp a bit the morning routine challenge. I’m now back to Australia and we are organising more events in Bondi Beach. Exciting! A ripple effect is a situation in which, like ripples expanding across the water when an object is dropped into it, an effect from an initial state can be followed outwards incrementally. Thank you Wikipedia. Personal growth follows a similar pattern. Amazing achievements are the result of simple things performed consistently. This is what makes the difference in the long term because you create a positive self-reinforcing loop. Make sure you create positive feedback loops, and you do it with simple but consistent actions, targeting both your mind and body. I was reminded of this when I listened to this amazing podcast with Dr. Greg Wells, author of the book… The ripple effect. Nothing groundbreaking but a great sum up of the fundamentals to master this ripple effect. A few new people starting the programs this week which is amazing! I’ve just finishing a brand new program that I’m very excited about: the body-mind connections programs. More info here, but the idea is to create new habits that trigger a ripple effect between mind and body. Everything is backed by the latest science (especially neuroscience, epigenetics and biochemistry) and very empowering as we have much more control over our body & mind than we thought. Let me know if you’re interested, always happy to chat further. #28 - In 2019, will you be a chicken or an eagle? The title will only make sense once you listen to short video below. But the idea is: how high are you going to aim in 2019? You see, as we grow up, we are often told we should not aim too high. That it’s arrogant, or pretentious. In the old paradigm, it makes sense. When you needed farmers, soldiers or factory workers, you didn’t want people to stand out. Even in services, many jobs require you to shut up and do your job. Well, times are changing and this is not the need of the time anymore. With better tech and automation, what the world needs is more ambitious and creative people. Driven people who can think outside the box. So I don’t know about you, but for 2019, I’m pumped! And I have big plans! More videos, more podcasts, more programs, huge events, a book… Honestly I’ve never been that excited! Some people will think I’m an imposture. Even my inner voice sometimes goes “Who do you think you are?” Who cares? I’ll keep going 🙌 Doubt will be there but I’ll make sure it’s in the back seat, not in the driver’s seat. For 2019, I hope you’ll make a promise to yourself: that you’ll build that mindset and go after what you want. This week, a quick 6-min video with Prince Ea. I definitely encourage you to follow him on social media. On another note, if you want to step up in 2019, a great idea is to start a podcast. I started mine less than a year ago and learned so much from it. I did a quick video on Youtube called 10 reasons to start a podcast where I also explain how you can do. Actually I did 2, for the first time I also did it in French. #27 - 2019 = Shift in Consciousness? 2018 was a pretty exciting year for me and UNLOCKT. I have discovered a whole new world of what I call conscious performance. A world of dreamers & doers, of mindful high-achievers. When you stop focusing on what’s wrong, you discover that so many people around the world are putting a lot of energy into creating a better world, whether through ecology, humanitarianism, tech or raising consciousness. And it’s beautiful. Now I know I’m sometimes a bit in a bubble. Bali and Bondi Beach are places where it is especially true. But the bubble is getting bigger and bigger. All over the world people start to understand the importance of taking better care of themselves, first, and of other people, of animals and of our planet. 2018 was the year the explosion of meditation in the Western world, of growing concerns for animals and the planet, of younger generations chasing fulfilment rather than just money. Now that we can access knowledge more and more easily (think audio books, podcasts, online courses), I believe this trend will expand in 2019. This is why I’m getting very excited about 2019, I think we will see more and more clearly a shift in consciousness that has already started. Anyway, I’m definitely pumped to do my best to help this beautiful trend with UNLOCKT and hope you join us in the adventure. As mentioned, I’m very excited about the years to come. This is true both on the consciousness and the technological levels. The best person to follow to understand how tech will affect us in the near future is probably Ray Kurzweil. I recently listened to his interview in a new podcast I encourage you to listen to: the TED interview, which are interviews of the current best minds in the world. I know the “new year resolution” is kind of old fashioned, but let’s make a deal. Tell me what it is and I’ll make sure you stick to it 🤜🤛. You can do it on Slack > #weekly_newsletter or answer this email. This week, I’ve been finishing the Nutrition & Energy Program and I’ll be in touch in a few days with a survey to understand how I can serve you best. I’ve also had a podcast with Aurelien Millot (Issa), who went very deep into exploring the limits of consciousness. He’s done a lot of crazy/interesting experiments on himself. In this episode, we talk about the time he did not eat for 21 days and fasting and breatharianism in general. Issa is very grounded, he also has a successful textile business in China. Enjoy the interview! 💌 Love, and of course… Happy New Year! As I was redoing my happiness & fulfilment program, I re-encounter something that is pretty known in ancient wisdom but that is often not well understood. Relationships don’t fulfil you. They are the beautiful outlet of the fulfilment you already have. In our societies, we are often sold the dream of finding the person that will make us complete. We are pretty brainwashed. We feel like we need our other half, while we are actually already complete. The result is that people enter a relationship from a place of neediness. They need the other to fill something they think they lack. This creates a lot of expectations, pressure and projections onto the other person and can leave people pretty miserable. It is true for any kind of relationship. You need to find your fulfilment and use the relationship as the outlet of your fulfilment. I’m no saint, I do it a lot. I sometimes enter a relationship out of ego. Out of looking cool, or important, or successful. This is why I like to often think to myself: “am I really liking this person for who she/he is, or am I projecting a lack and using them to fill it?”. This is also why I think it’s sound to spend time with yourself and observe how fulfilled you are when you are alone. This is why I’ll do a 10-day silent retreat (Vipassana) end of February. When you find fulfilment from within, then you are in that relationship by choice. To give, not to take. You’re not attached because you don’t need the other, so you don’t feel like you need to restrict their freedom or possess them in any way. You let things be and this is what makes relationships beautiful. So if you feel bad and think a relationship is the answer, you’re looking in the wrong place. It may relieve you for a time, but will be just a short-term fix. Better look within. Who else than Eckhart Tolle, the rockstar of consciousness, to talk about this subject. Here is a quick video (less than 10 min). He doesn’t look like it but he’s pretty funny. As you know, The Power of Now has changed my life and the one of many others and it’s by far the book I’ve gifted the most… Just in case you haven’t read it yet. Think of someone you love and think about the need they fulfil in your life. Don’t feel bad about it. We’re human. Just be aware that they are fulfilling this need. Awareness is always the first step to improvement. These are not easy subjects so I’m always happy to discuss. It’s fine to disagree. You can do it on Slack > #weekly_newsletter or contact me. This week, I’ve worked a bit on redoing the Nutrition & Energy Program. Such an important topic. #25 - Why you need to reprogram yourself to be happy? Evolution programmed us to survive, not to be happy. Advertisers lure us into thinking consuming will make us happy. Even our well-intended parents, friends and teachers are usually wrong about where happiness comes from. Fitting into society and being successful is not a source of sustainable and unconditional happiness. Fortunately, our ancestors have been studying the subject for thousands of years, so you can find pretty good answers in ancient wisdom. I especially like Stoicism and Eastern philosophy. The knowledge is often more applicable than ever Today. On top of it, the latest discoveries in neuroscience and biochemistry give us an even deeper understanding of what you can do to be happier. So there are a bunch of techniques you can actually implement to be sustainably happier. You need to reprogram yourself. This week, I have been re-re-doing the happiness program and it was such a great exercise. For the high-achievers out there, I would also add that this form of happiness is not going to reduce your drive or impact, quite the other way around. I call it Happiness & Fulfilment because the kind of happiness we explore here is a conscious one, not an ignorant bliss. I am very excited about this one, because making people a bit happier actually makes me super happy. Just a quick fun video this week. Love it! This week, just take a minute and write down 3 things you are grateful for. So this past week, I’ve been mainly working on the Happiness & Fulfilment Program. On top of it, I also did a great podcast with Mitchell Levy. Mitchell is an expert at getting seen and heard in our noisy world. You can watch his TED talk. Attention has become the new gold, and when you think you can provide value, it becomes important to understand how you can cut through the noise. We especially discuss the importance of having a book, so we discussed a bit my book project for 2019. The world is changing fast. A few decades ago, meditation was pretty rare in the Western world, but it has now become incredibly popular. US Marines, top CEOs, people at Google and Harvard, they all rave about meditation. It is the most common pattern identified by Tim Ferriss after interviewing the top performers of this world. The progress in neuroscience now also backs this thousand-year-old practice. Rational people understand how foolish it would be to not meditate. So you may not be behind your friends and colleagues, as the majority of them probably don’t meditate either. But you’re already behind the elite of this world. That’s the bad news. And as it now becomes more mainstream, if you don’t start soon, in a world where it becomes the norm to control your mind and focus better, you’ll make yourself less and less relevant. That’s even worse news, who would want to be part of this group? The good news is, it’s never been easier to get started. Now I don’t really mind whether you do my program, use an app, find a local guru or you do it all on your own, but please, start meditation. You’ll thank me in a a few months. You can’t believe how grateful I am to the people who pushed me to meditate. So the message Today is quite straightforward, but I want it to be a wake-up call for the ones who don’t realise they are already behind and missing the train of evolution. START. MEDITATING. EVERYDAY. You won’t look back. Have questions? I’m super happy to advise you. Again it’s not about doing my program, my main concern is that you actually start, whatever the way. Just reach out, I’ll give you unbiased advice. Today, I’m sharing with you one quick video that is part of the program. It shows well the angle of this program. Very secular, pragmatic and scientific. Watch it. It’s just 4 min. This week, just take a minute every day and sit on a chair and focus on your breath. Or alternatively, start meditation of course! I sent you an email about the very exciting podcast I did last Tuesday with Niraj Naik. This past week, I’ve been working on this new version of the mind training & meditation program. As I was going through it again, it was a great reminder of how awesome meditation is. This is why I thought I should make it the subject of the newsletter. I’ve also tried to make the whole program website more clear. Click here to see the home page. As usual, I loooove feedback, that’s how I keep improving everything, so please reach out if you have feedback! #23 - Do you own your time? Last week, a friend of mine told me he wanted to start meditating regularly. But that he didn’t have time. “I’m so busy!”. We’ve all been trained to say this so we feel important, especially in the corporate and in the startup worlds. If you’re not super busy, you’re a loser, right? Quite the opposite in my opinion. If you own your time, you’re never busy. Simply prioritising. On top of it, I asked this friend to show me his screen time (a new iPhone feature). He was spending more than 40 min on Instagram every day. And you don’t have 10 min a day to meditate? Come on, mate! To be fair, it’s not really his fault. An app like Instagram is built by behavioural scientists who know how to make you spend more time than you’d like on the app. They “hack” you. To stop this, you need to take ownership of your time, so you hack yourself in a positive way rather than letting every app and advertiser hack you to fit their commercial goals. This is why I call the program: Time Ownership. There is obviously a big part on productivity and standard time management, but it goes way beyond this. It is the foundation of any major improvements in your life. Today, I’m sharing with you the first video of the time ownership program. It’s a very simple one, but it makes you realise you own your time and that saying “I don’t have time” is bulls*t.
This week, try and stop saying “I’m busy” and “I don’t have time”. You’ll see, it’s harder than you may think. Owning your time doesn’t mean you have to meditate, or to stop doing this or that. It’s simply about making sure how you spend your time fits your goals. What improvements will you make with the Time Ownership program? To get started, simply click here. If you have any questions, just let me know! As explained by Yuval Noah Harari, the most important skill for the 21st Century, in our ever-changing environment, is to keep learning and growing. My answer is through Deliberate Practice. Deliberate Practice is a 3-step cycle: Listen > Take Action > Reflect. Then? Repeat. I have written an article detailing the 3 phases of the cycle, why they are important and how to do them properly. Then using the example of hacking yourself to love healthy food. One person that explains very well why you need to hack yourself is one of my favourite people, Yuval Noah Harari. The stepping back and reflection part of the Conscious Growth process is very important. This week, take 5 min to write down, at the end of the end, how your day was. It helps get clarity and to get thing out of your head. This week I’ve been interviewing Charles McKinley. I loved this interview. If you’re not already meditating or have no interest in self-transcendence, it may sound a bit woo-woo, but if you do, you’ll love our chat. Charles is truly amazing! 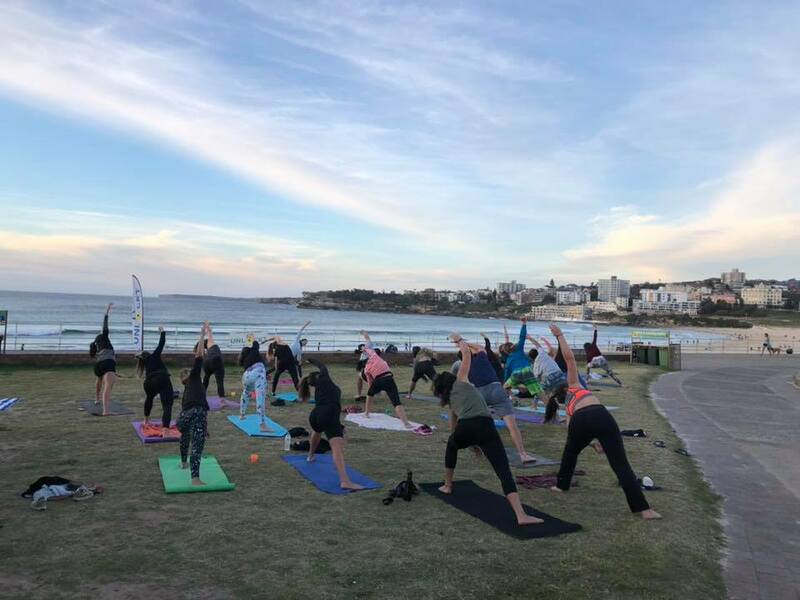 Last Tuesday, I also held a big Sunrise Yoga & Meditation event, with amazing vibes as you can see with the video below. Ultimately, that’s what UNLOCKT is about… spreading the love. We’ll have an even bigger event this coming Tuesday. The first few minutes of your day are very important. You set the tone for the day. If you start it well, you get a feeling of achievement you pursue throughout the day. This is why most successful people have a morning routine. How do you start your day? Do you snooze? Do you check social media? Your emails? I have started with tiny morning routines but I now usually have a routine of an hour and a half. To get there, you have to add activities one after the other. The most important is to start doing a routine pretty consistently, even if it’s just 5 minutes. It allows you to achieve a lot straight when you wake up and it preserves your willpower for the more important decisions you’ll face during the day. So naturally, I have created a little morning routine challenge. It is 100% free, 4 days, 10 min a day. I want it to be a little introduction to personal growth in general and to the programs. If you want to give it a go, click here. Here I need to pay a little tribute to one of my gurus, Tim Ferriss, who is the one that got me into personal growth and morning routines. He interviewed about 500 successful people in very different areas of expertise and found the recurring patterns. Challenge of the week? Well get started now with the morning routine challenge! 10 min a day for 4 days… Just register if you’re keen to give it a go! It’s quite beginner-friendly but you can always combine it with what you already do. You can let us know how it feels in Slack or directly in the comment section of the challenge. Quite a lot going on at the moment. On top of this morning routine challenge, I’ve been interviewing neuroscientist Dr. Kaushik Ram about training your nervous system. This Thursday, I’ll interview Charles McKinley whom I met at Date with Destiny with Tony Robbins who has had a few experiences of self-transcendence (some of which we did together). Amazing guy to listen to! We’re also currently throwing big sunrise yoga & meditation events at Bondi Beach, thanks Isabel for organising ❤️. We have already 55 people registered for this Tuesday. Relationships are a very important part of your happiness and growth. So a year ago, I started to read a few books on the subject, and especially about romantic relationships 😳. A good friend of mine recommended a book called Models: Attract Women Through Honesty by Mark Manson. A part I really loved about it was the one on vulnerability - and in context, why you need to be willing to be vulnerable to attract the best women 😛. While this book is directed at men wanted to attract women, you can apply it to relationships in general, like friendships and work relationships. The idea behind vulnerability is not to dump all your problems in people’s face. That’s the victim mode and it’s a way to fill a need for significance. It is to have the courage to do what feels right even though it may make you feel uncomfortable, rejected or made fun of. And paradoxically, there is a lot of strength that goes with being vulnerable. Personally, being vulnerable and being open to getting rejected, uncomfortable or made fun of has really been a breakthrough for both my relationships and work. By the way I want to give a shoutout to my friends at OneWave. OneWave is a charity that organises gatherings at Bondi Beach every Friday morning to discuss mental health and I’ve rarely seen such a kind and non-judgemental group of people. Best example of the power of vulnerability! They were rewarded last month with the visit of Prince Harry that gave them a lot of exposure. Good job Grant & Sam especially! As I loved the concept, I got to know about Brené Brown, who is the main reference on this subject. So this week I wanted to share with you her TED talk, one of their most popular talks ever. I can only recommend the audiobook The Power of Vulnerability. One thing I’m a big fan of is gratitude. And telling someone “Hey, I wanted to tell you that I’m grateful to you because XYZ” is an exercise where we show vulnerability. But will make the other person and yourself feel great. So do it Today, whether with your partner, a friend or someone at work. This week, I moved the Time Ownership Program on the new online platform. Pretty excited about it! I will rework and move the other programs there too in the next couple of months. The people who had already purchased the program have received an email with your access to the platform. If you want to start the program or simply learn more, click here. Next Tuesday, 7pm Sydney time, I’m interviewing Dr. Kaushik Ram, a neuroscientist who spend 3 months in a cave writing his book only in a state of flow, when he was not thinking. He holds a seminar this weekend, will hold a TEDx Sydney talk next year and we’ll discuss… survival. We’ll have a little audience and feel free to ask your questions on the live show. And as usual… Send me feedback! I looooove feedback, good or bad! I’m not going to get deep into the science here. It is pretty common knowledge that alcohol isn’t very good for you. While listening to many of Tim Ferriss’ podcasts, as he interviews people who are very successful in their area of expertise, not drinking alcohol at all was something that came back a lot. While there is nothing wrong with a glass every now and then, I think it’s very healthy to sometimes do a complete break. And if you grew up in a similar environment as I did, social activities go hand-in-hand with alcohol consumption. So the longest I’ve done was a 2-week break 8 months ago, which seems a bit ridiculous. So I’ll do an entire month sober in November. Who’s with me? And for me, it’ll be a decent challenge. As usual, the hard part is the social part. It’d be very easy not to drink if I was living in some remote mountain, but I’ll be in Sydney and I’ll have dinners and parties and I’ll hear a lot that “I’m not fun”, that “I’m boring”, etc… but that’s why it’s a challenge! We often think of addiction in reference to drugs or gambling but we often forget that we can be addicted to things that seem benign, like social drinking, smartphones, consuming. Now is time for… Gabor Maté. I’m an absolute fan of this addiction specialist who is not as famous as he deserves to be. It gets pretty deep, especially in the podcast. At least, have a listen to the TED talk, but I definitely encourage you to listen to the whole podcast with Tim Ferriss. One of my favourite podcasts ever. I know, it’s 2h30, and it takes a bit of time to really take off, but 100% worth it. Try and listen to it as you commute this week. Anyone keen to do sober November with me? Always good to have a few buddies to support each others! But if it’s a bit too much, which I can understand, the challenge of the week is to do a week without any alcohol. This week, I was honoured to interview again Gaspard Koenig. For the people here interested in the future of our societies, you should be quite interested in Universal Basic Income. We also discussed the future of work and he is not as worried as Yuval Noah Harari in his books Homo Deus and 21 Lessons for the 21st Century, as he explained in our interview. It’ll be interesting to see the two of them debate mid-November, as I’m a huge fan of the two. I can’t attend because I won’t be in Paris anymore but if you’re around, you should definitely go! Almost a year ago, I watched the TED talk “Start with Why” by Simon Sinek, where he describes the importance of knowing why you do what you do and that it’s what inspires people. This led me to decide to do something I truly care about. And it led to UNLOCKT. “I believe that now is the most exciting time to be alive. A time when everything seems possible, from the best to the worst. It's true when you look at our societies. It's also true on a personal level. With my phone, I can learn to meditate, follow my "get shredded in 6 weeks" workout program and listen to a podcast with Elon Musk discussing AI. For a small cost, I can thrive at a pace that was not conceivable before! How exciting! But if I'm not careful, my phone will always distract me. I'll lose my ability to focus. I won't be present with the people I love. I'll compare myself to others on social media. And I'll end up miserable, in depression or burnout and take pills to solve it. As do so many people nowadays. How depressing! I know, that’s a lot of text this week… So if you just want to jump to the TED talk, see below. A great exercise to increase clarity is to have a journal. I started 6 months ago and I love taking 2-3 minutes before going to bed to reflect on my day. So this coming week, try and take 2-3 minutes before going to bed to write down how you felt today, what you did well, what you were grateful for and what you could improve. Or simply go freestyle. Last Wednesday, I did a fun interview with Laurent about hypnosis, with a little hypnosis show at the end. This Tuesday, I’m very happy to interview Gaspard Koenig, French philosopher, about Universal Basic Income. It will be live at 11am Paris time, 8pm Sydney time, on my Facebook wall. Ask your questions. A month ago, on Joe Rogan’s podcast, Elon Musk talked about the fact that you’re already a cyborg, in reference to owning a smartphone. Harari talked about it very well in Homo Deus. At the moment, these tools are mainly outside our physical bodies, but they’re already an extension of ourselves. We start to integrate them more and more. And what seems unacceptable now won’t be in a few decades or even a few years. Whether you want it or not, these tools are already part of who you are and it will just keep increasing. It doesn’t mean it’s necessarily good or bad. As usual, it comes with opportunities and threats. But we need first to understand and acknowledge it. Implementing non-organic parts in our bodies has already started, mainly to cure diseases for now (brain chips for Parkinson, pacemakers,…), but it will gradually move towards improving our capabilities. So this week, I want to share with you an episode of Moonshot, a podcast focusing on crazy but realistic tech innovations that may disrupt the world. This podcast is a great statement of where we’re at regarding integrating non-organic parts to our physical bodies. Tired of being a cyborg? While tech can help us in many ways, it comes with threats. One of them is being addicted to the tool rather than simply using it. For example, you may spend more time than you’d like on your phone & social media. That’s normal. As you know if you did the time ownership program, they use addictive techniques. To balance this out, the challenge of the week is to make sure you don’t check your phone & social media within the first 30 minutes of waking up. This week I have been working on revamping completely the Time Ownership Program. Easier to follow, more actionable steps and quick in-situation videos have been added. Thanks again to all the people who gave me amazing feedback. Last Tuesday, I was super happy to have again the A.I. expert Hadelin de Ponteves on the podcast. Really interesting chat about the current state of A.I! Uber only with self-driving cars in 2 years? Everyone with a robot that cooks for us in 10 years? Let’s see! On Wednesday I will interview Laurent, a hypnotiser I met at a festival. Hypnosis is fun but it’s also a very interesting subject to study when it comes to consciousness. 2 weeks ago, in the North of France, surgeons performed a heart surgery without anaesthesia (it was too dangerous for the old patient) but under hypnosis! Also confirming the interview with Gaspard Koenig on Universal Basic Income on October 23 at 11am Paris time. #15 - Being performant = being a robot? Today’s podcast is about deep work. As I was redoing the Time Management Program, now called Time Ownership Program, I included this podcast as a bonus episode. At 21’30, the interviewer asks Cal Newport: “Are you asking people to behave like robots?” as he talks about ways to do more “deep work” and to schedule more your life. I would like to extend this to personal growth in general. I often get told by people that they don’t want to improve or hack themselves by fear of feeling like machines. It’s up to people to judge, but I consider it makes you actually more human. - Removing notifications also allows you to be more present with the people you love. - Meditation allows you to see more easily someone else’s perspective and to have more compassion. - Scheduling a morning routine allows you to be more present and energetic throughout the day. - I feel more human when I have energy after a healthy lunch than when sluggish after a burger and beer. So personal growth probably makes you actually more human. Provided you use this performance and structure to become more present, more compassionate, wiser and to take more meaningful actions. So this week, the content of the week is this podcast by Hidden Brain with the author of Deep Work: Cal Newport. Making space for deep work is a way to increase a lot your productivity and it is something incredibly important to become more productive in a world of ever increasing distractions. He evokes briefly social media and why he never had a social media account. If you’ve done the time ownership program, you know that I clearly recommend getting some distance and being careful with their addictive strategies, but then I think it’s up to everyone to judge the pros and cons. I personally prefer to stay quite active on social media but he makes a pretty good case in this TED talk. I’ll probably do a weekly newsletter on social media in the coming weeks. This week is a reminder of the Time Ownership program: Just in case you forgot to do it lately, this week, make sure you schedule one hour per weekday when you do deep focused work. Phone in plane mode and in another room, no one to distract you and your full attention on the task. You can include a 10 min break in the middle if it’s seems to work better for you. I’ve sent you the new membership system, click here to do the transition, first month is free. And if you know people who could be interested please send them to www.unlockt.me/friend. You get another free month for everyone you refer! Next week, I’ll interview my friend Hadelin de Ponteves, creator of best-selling Artificial Intelligence courses. He will update us on the latest applications of AI. Will be on Tue 9 October live. Follow the Facebook page for updates and come with your questions!